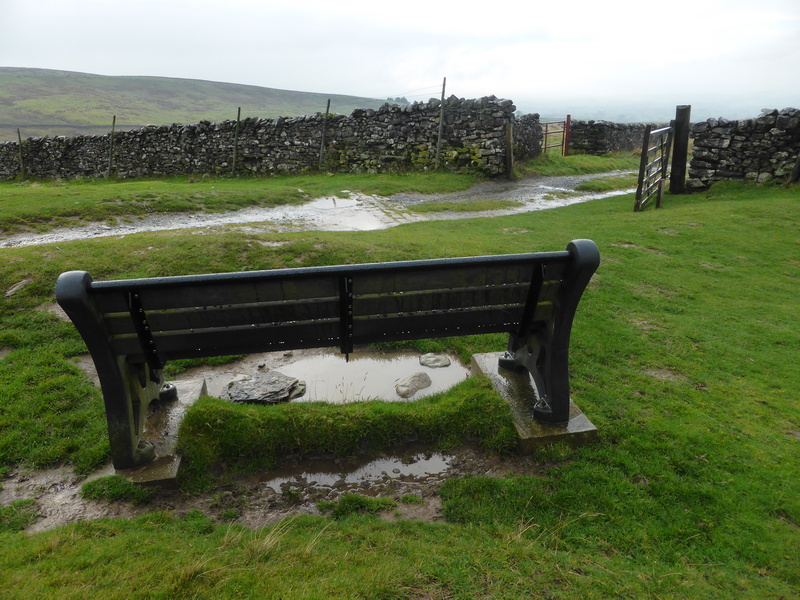 On the slopes of Ingleborough above Ingleton I found this bench that would be a welcome rest spot on a dry day, sitting as it does next to the main path up Ingleborough. 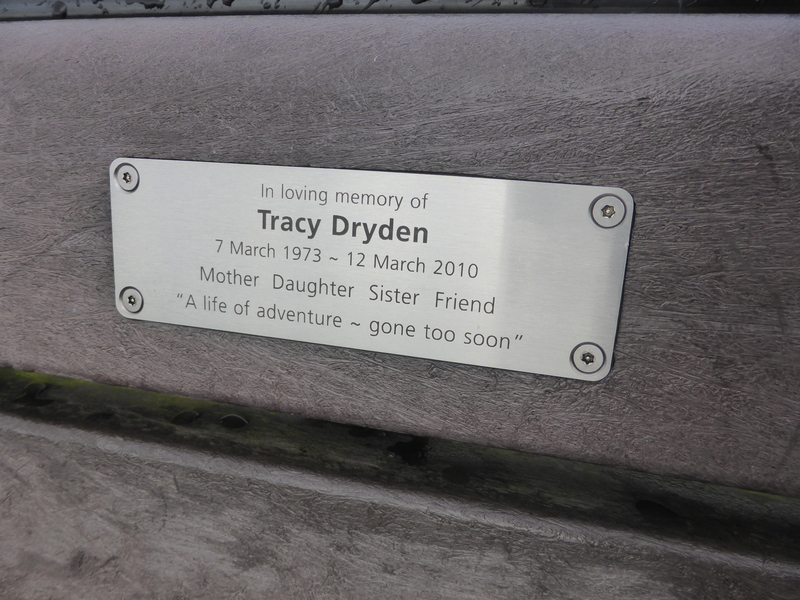 Tracy Dryden died very young at 37-years old and the bench plaque tells those with time to sit and reflect of an active woman who is very much missed: ‘A life of adventure – gone too soon’. 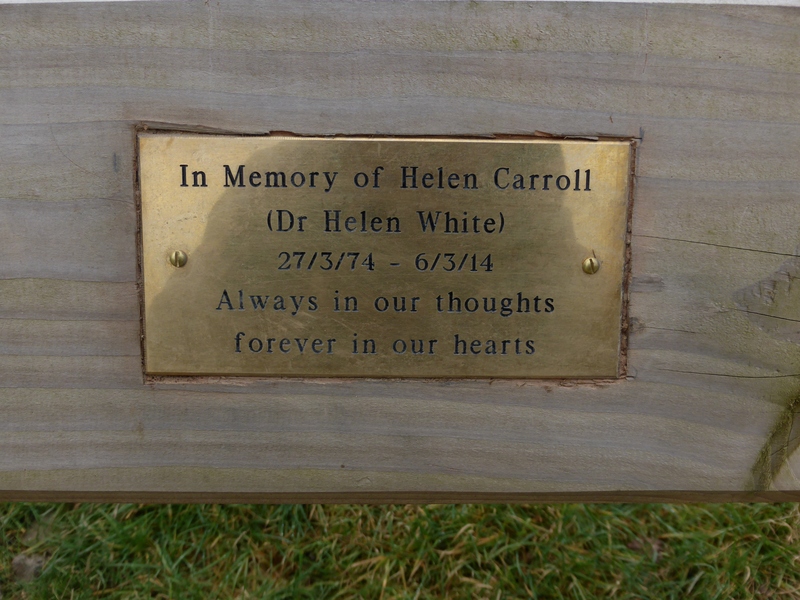 The Craven Herald news story tells that Tracy Dryden was a nurse who lived at the base of Ingleborough and was murdered in 2010. 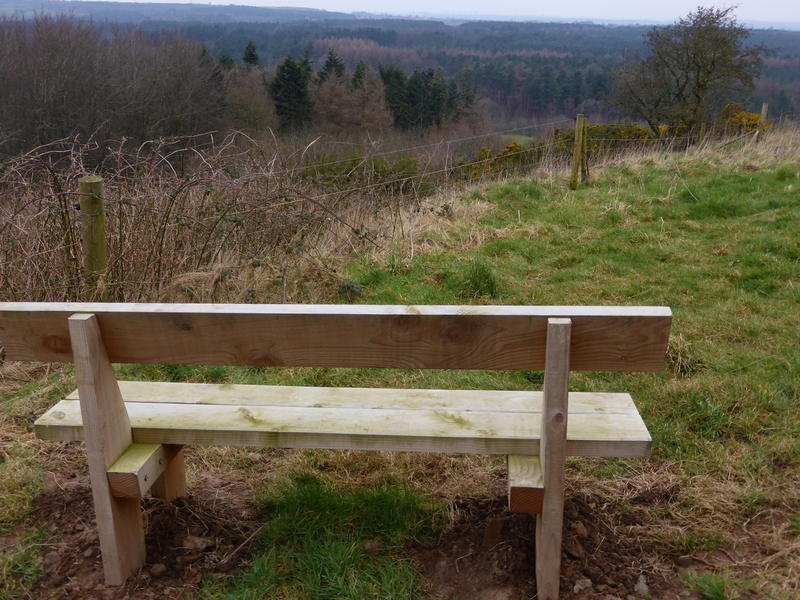 Tracy Dryden was also a fell runner and the bench is on a route she often ran and was a favourite spot for her. 150 people took part in a sponsored walk to raise money for the bench.